With tons of desktop real estate and the processing power to run practically as many apps as you can open, staying focused on a single task while using your PC can be a challenge. Luckily, in recent years developers have created a number of new tools to help you establish a distraction-free workspace at home or in the office. These apps and tools hide unused windows and menus to help you focus on what's important and to be more productive. Without the distraction of extraneous apps, windows, and notifications, you'll be able to work more productively and with fewer interruptions than you would otherwise. Here is our roundup of tools that will let you write, work, and even browse the Web while keeping distractions to a minimum. The movement toward distraction-free tools started with word processors, and it's easy to see why: Writing requires a lot of mental energy; and if your attention drifts to the other windows and apps open on your PC, you can lose focus. Several good, distraction-free writing tools are available tools to choose from. I've compiled a list of my favorites here, but you may also want to dive into the settings of your favorite word processor to see whether it offers an option to shut out extraneous notifications and toolbars. Many modern writing apps include a distraction-free full-screen mode as an optional feature--a simple setting that saves time and ensures that you can continue to use your editing software of choice. If you're a Windows user looking for a clean, simple writing tool, consider the free Writemonkey. This app is great for getting work done, but so is Q10 (also for Windows). It's mostly a matter of personal preference, but I find that Q10's timer feature is especially useful when I'm trying to write on a strict deadline or when I'm following the Pomodoro method. Mac users also have several distraction-free writing apps to choose from, including a handy app called WriteRoom that creates a full-screen word processor and hides all menus until you need them later. Though WriteRoom has updated over the years with a number of strong features (for example, there's an iOS version now that syncs well with the desktop app) it costs $10 in a field where most competitors are free. Productivity-minded Mac users can try OmmWriter, a free, easy-to-use dedicated writing app. I prefer OmmWriter for distraction-free writing in Mac OS X; not only does it help me focus and work more productively, but it also has a few customizable themes (more are available in the premium version of the software), along with some soft ambient noise tracks to help drown out any distracting outside audio. Linux users and any Windows or Mac users dissatisfied with other offerings should take a look at the cross-platform FocusWriter, a great little full-screen text editor that supports themes and tabbed document browsing in addition to the usual hidden menus and keyboard shortcuts. There's no reason to limit your distraction-free work environment to writing tasks. Plenty of other great tools can eliminate distractions from your PC desktop so you can stay more productive. As many Mac users know, lots of Mac OS apps commandeer the entire screen while running in full-screen mode in the newest iteration of Mac OS, Lion. The operating system's support for full-screen apps has made many of the Mac's most popular applications (including Final Cut, Photoshop, and other video/music/image editors) distraction-proof by default. If your Mac has Lion installed, be sure to check for a new Full-Screen App icon in the upper right corner of your application window. If you can, click that button to run your favorite app in a distraction-free work zone. 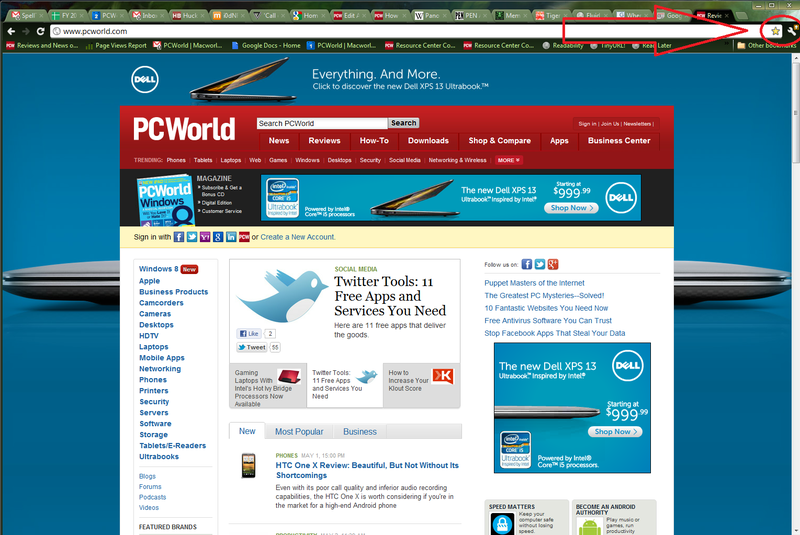 Not all apps will have full-screen support, however, and in any case you may have to run multiple windows at once. If so, you can still minimize distractions from other apps with the help of Backdrop, a handy app that lets you hide not just other applications but also your computer's desktop when you're trying to get work done in one particular tool. Windows users may be interested in Ghoster, a free (donationware) utility that dims all of your windows except the currently active one, to help you stay focused. It won't actively block notifications from programs such as AIM and TweetDeck, but you can probably shut those down on your own if you need to get some serious work done. Undeniably the chief cause of distractions and reduced general productivity is the Web browser. The moment you open your browser you're just a new tab away from hours of distraction; worse, most people need to stay connected at work and have a Web browser open for at least a few sites (email, server management, CMS access, and the like) for much of the day. Luckily, you can download Google Chrome and use it to turn any website that you need to use into a distraction-free stand-alone app, so you can keep an eye on the websites you need for work without wandering off for hours in search of random articles on Wikipedia. Google Chrome's Application Shortcut feature creates a Website-specific browser that will open and run only the site you tell it to; all you have to do to is open the Google Chrome Tools menu (by clicking the wrench icon in the upper-right corner of your Chrome browser) and select Create Application Shortcut. Next, choose where you want Chrome to create the application shortcut, and you'll get a stand-alone app that will display only that one site. Google Chrome can create site-specific application shortcuts. Unfortunately, this feature only works for Chrome users running Windows or Linux on their PC. Mac OS X devotees looking for a site-specific Web browser should check out Fluid, a free app built for Macs that lets users create dedicated shortcuts for specific websites. The full version ($5) lets you unlock a few more productivity features, including the ability to add Fluid links to your toolbar so you that you can have a dedicated Wikipedia or GMail application. It can be galling to admit how much time we waste during the workday; but with these productivity tools at hand (and a little bit of will power), you should be able to make any computer-related task the unchallenged focus of your attention.